One of the problems with antibiotics is that the body can build up immunity to the treatment. When doctors prescribe antibiotics to patients with a simple cold, it contributes to that buildup and makes it more difficult for the vaccine to be effective. A new blood test has been developed by Duke researchers to help decide on whether an infection is bacterial or viral. The difference is important, as antibiotics do not treat viral infections. And when patients are given antibiotics for viral infections, those dosages only build up the body’s resistance to the antibiotics. The study was published in Science Translational Medicine and included 31 people: 21 participants with the flu and 10 with bacterial pneumonia. Investigators were then able to develop profiles of about 20,000 genes; gene activity depended on whether someone was infected with a virus or a bacterium. Next, 300 patients had their blood tested; microbes included strep infections and rhinoviruses. After comparing results of the gene profiles to the people who weren’t sick, Tsalik said they got an accuracy of 87 percent when it came to distinguishing bacterial from viral causes. It takes one day for the test to produce results—but researchers are trying to cut that time down to less than an hour. More antibiotics news: antibiotics may be used to treat a number of conditions: strep throat, food poisoning, and pneumonia, to name a few, but as mentioned above, antibiotics don’t treat viral infections, such as bronchitis or the common cold. But, according to a recent article published in the Annals of Internal Medicine, a common reason why antibiotics are prescribed for adults is to treat the cold and other acute respiratory tract infections. In the U.S., the CDC estimates that overusing antibiotics has resulted in 23,000 deaths and two million people getting antibiotic-resistant illnesses annually. Doctors are generally advised to tell their patients that cold symptoms can last up to two weeks and to follow-up if symptoms worsen. 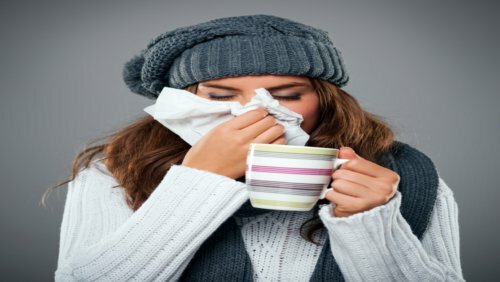 Of course, there are natural remedies to fight the cold and flu, such as taking probiotics, Vitamin D3, Elderberry, or Echinacea. A combination of these remedies is most beneficial at the first sign of the cold or flu.